Svalbard, Norway is known for it's splendid Arctic scenery, frigid weather and polar bears. But it wasn't always like this. In a study published recently in Geology, researchers announce the discovery of a fossilized tropical forest in Svalbard. Chris Berry and other researchers from Cardiff University found tropical tree stumps--the remains of an ancient tropical forest--during field work in the frigid latitudes. The fossilized tree stumps found by the researchers were lycopsids, early trees that are related to club moss. Scientists think that the explosive growth of these trees during this period helped to reduce the amount of carbon dioxide in the atmosphere. 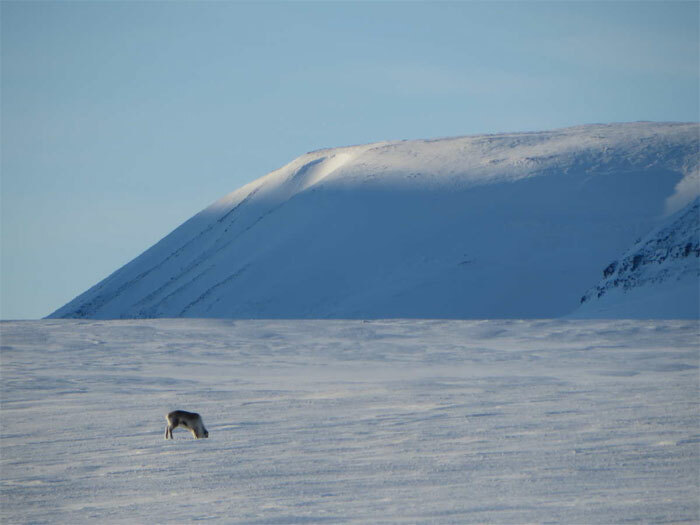 Today, Svalbard's frigid temperatures have made it very attractive to biologists, who took advantage of the cool climate to refrigerate the Doomsday Seed Vault, a repository of seed samples from around the world. The first withdrawal from the vault was made this year in response to the ongoing conflict in Syria, and surely more will come soon as climate change continues to impact both wild plants and agricultural crops around the world. “It’s amazing that we’ve uncovered one of the very first forests in the very place that is now being used to preserve the Earth’s plant diversity,” Berry said.